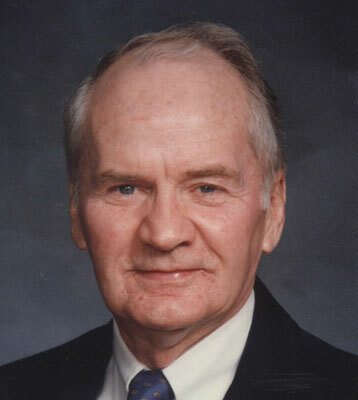 AUSTINTOWN - Roy Frederick Daugherty, 95, passed away in Austintown on Sept. 15, 2014. “Fritz,” as he was known, had lived in Austintown since 1955. He was born in New Albany, Ohio on Sept. 10, 1919. He graduated from Greenford High School and worked in Lisbon for Standard Oil of Ohio (Sohio) as an auto mechanic. He entered the U.S. Army with the outbreak of World War II, and did his basic training at Camp Roberts, Calif. He served in the 3rd Infantry Division with many heroes. He was part of a mortar team in the 3rd Infantry Regiment and crossed the Atlantic to his first D-Day invasion of Casablanca, Morocco in November of 1942. He was part of the Honor Guard for the Casablanca Conference with Roosevelt, Stalin, and Churchill in January of 1943. Subsequent D-Day landings were at Sicily in July of 1943, and Anzio, Italy in January of 1944. His company was involved in vicious fighting in Acerno near Salerno, Mt. Rotundo, near Monte Cassino, and in Anzio. God’s provident hand remained over him throughout these battles. Fritz was honorably discharged from the Army in 1945. Fritz returned to Standard Oil in Lisbon, where he met Martha L. Foster. They married in Salem, in February of 1950. In 1955, they moved to Austintown, where Fritz became a new service station manager. He was well-known for a spotless station and premier service. He remained a manager with Standard Oil until retirement in 1984. Fritz belonged to the Austintown Community Church, where he served as an usher and participated in the food pantry distributions. He was active in the church “Brunch Bunch,” where he enjoyed many years of fellowship and service. He was a founding member of the Austintown Fitch Boys Cross Country Booster Club, The Tag-Alongs, and served as their first president in 1972. Fritz will be lovingly remembered by his wife of 64 years, Martha Foster Daugherty; son and daughter-in-law Daryl and Jamey Daugherty of Indianapolis; and daughter and son-in-law Donis and Matthew Petnuch of Pittsburgh. He will be missed by his five grandchildren, Patrick Daugherty, Andrew Daugherty, Brian Petnuch, Craig Petnuch, and Jill Petnuch. He was preceded in death by his parents, Lawrence H. and Cora M. Daugherty; sister Norma Dene Lozier; and brother Lowell Daugherty. The family would like to extend heartfelt thanks and appreciation to the entire staff at Clare Bridge of Austintown. Their love and caring attention was extraordinary. Funeral services will be held at 11 a.m. on Friday, Sept. 19, at the Lane Family Funeral Homes, Austintown Chapel, followed by interment at Green Haven Memorial Gardens. Please share your memories of Roy.